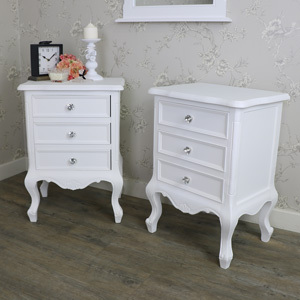 The Elise White Range is one of our most popular furniture collections. 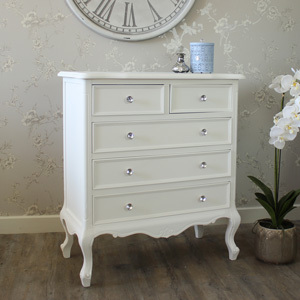 A beautiful collection of vintage inspired white painted furniture with a distinctly French feel. 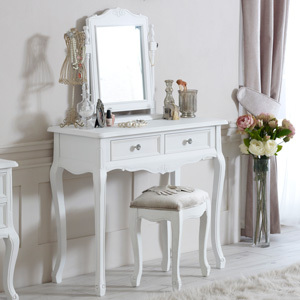 Each pieces has ornate carved detailing, light distressing and glamorous crystal style handles. 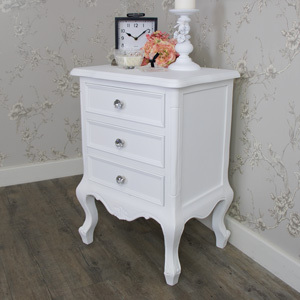 The Elise White Range has the classic, elegant look that French furniture is known for, while still retaining a luxury vibe. 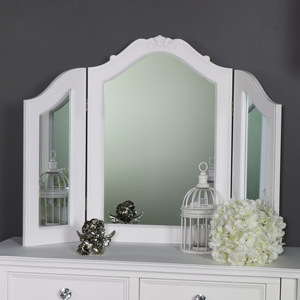 This collection includes items designed for bedroom, living room, dining room, bathroom and hallway use. 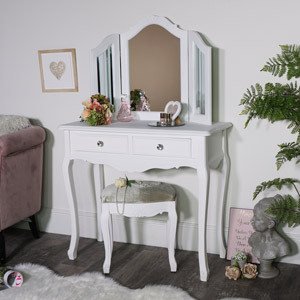 The Elise White Range is one of our most extensive furniture collections including a variety of dressing table sets, chests of drawers, side tables, TV cabinets as well as many other gorgeous items. 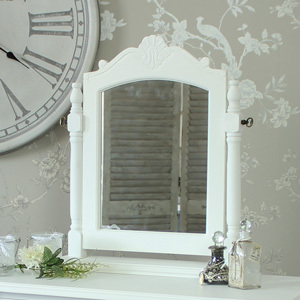 Add a touch of luxury to your interior with the Elise White Range. 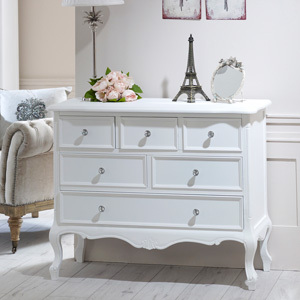 All Melody Maison furniture collections are made from quality materials, crafted with care and finished to perfection.